The competitive shooting world has long sung the praises of red dot sights for their accuracy and speed — and in the past few years the defensive shooting world has started to take notice. 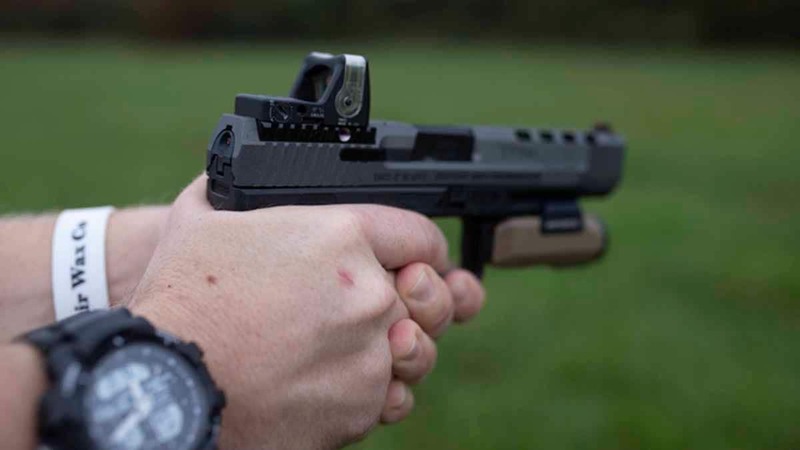 Since it’s release, the Trijicon Ruggedized Miniature Reflex (RMR) sight has set the industry standard as the go to option for red dot sights, and is the sight we will be using to investigate the viability of a red dot on your home defense pistol. Red dot sights come in many configurations, from adjustable LED to battery free dual illumination models that use Tritium and fiber optics as a power source. They come as both tabular and reflex sights with models having reticles of different sizes, shapes and colors, giving the end user a huge variety of options to fit their home defense needs. Versatile enough to use on a rifle, pistol or shotgun, red dots can give the shooter an edge in speed and accuracy in a defensive shooting situation. As with anything, using a red dot sight takes time and practice to get used to, especially when used on a pistol, but if you put in the training time they can bring a lot of value to the table. Shooters with vision issues will also find a huge benefit to using a red dot sight. Instead of having two sights to line up, as with traditional iron sights, all they need to do is put the dot on the target and press the trigger. Further value can be found in low light conditions where a big glowing dot can be easier to find than your pistols iron sights. 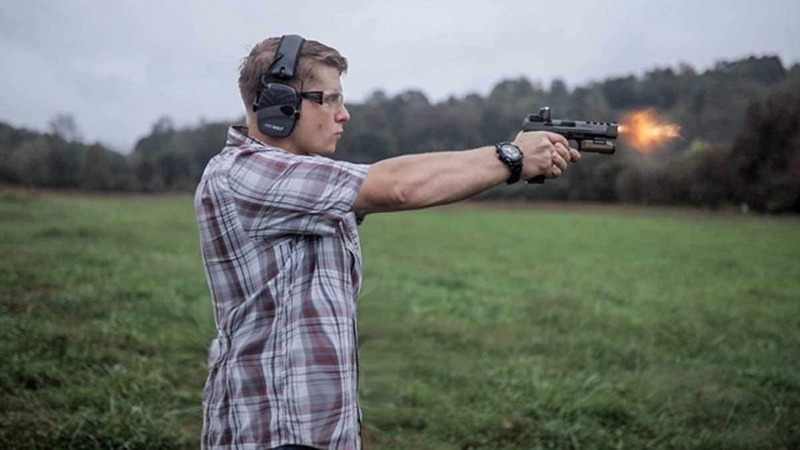 When it comes to home defense, we want every advantage available to us, the defender, and having a red dot on your home defense pistol can give you a distinct advantage in speed and accuracy. When milliseconds count, make sure you have given yourself every tool and every advantage you can, your life may depend on it.